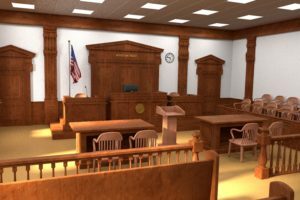 Do you need a lawyer for a DCP&P case in Bergen County? You’ve come to the right place. The DCP&P defense attorneys at our firm achieved another great outcome on behalf of another client in the Bergen County Family Court: dismissal of care and supervision litigation. Our client had been accused of abuse and neglect in the Spring of 2017 and the Division filed a complaint for care and supervision, with restraints, in family court. From the outset, our attorneys worked with our client to develop an effective strategy to get the case closed as soon as possible. Soon thereafter, the restraints were lifted and the Division converted the matter to a Title 30 child welfare matter, as opposed to a Title 9 child abuse and neglect case. Then, a few months later the Division was satisfied that our client posed no risk to her child whatsoever and then the case was ultimately dismissed in court. Title 30 care and supervision litigation is one of the different types of court cases that DCP&P can bring against parents. Rather than Title 9, which focuses on child abuse and neglect, Title 30 focuses on the general well-being of the children. Specifically, pursuant to N.J.S.A. 30:4C-12, whenever it shall appear that the parent or parents, guardian, or person having custody and control of any child within this State is unfit to be entrusted with the care and education of such child, or shall fail to provide such child with proper protection, maintenance and education, or shall fail to ensure the health and safety of the child, or is endangering the welfare of such child, a written complaint may be filed to ensure the health and safety of the child in the Family Part of the Chancery Division of the Superior Court in the county where the child resides for an order making the child a ward of the court and placing the child under the care and supervision or custody of the Division. In any case where the Division files a complaint under Title 30, the court order that grants care and supervision shall not be effective beyond a period of six months from the date of entry unless the court, upon application by DCP&P, at a summary hearing held upon notice to the parent, parents, guardian, or person having custody of the child, extends the time of the order. That is, care and supervision litigation cannot last indefinitely but must be reviewed periodically by the family court. In our client’s recent case, there was no need for a six-month jurisdictional hearing and the matter was dismissed from litigation earlier than the six-month mark. If you are currently involved with DYFS litigation, we can help. Our experienced team of DCP&P defense attorneys have helped parents across New Jersey manage with DYFS involvement both in and out of the courtroom and we are ready to help you today – don’t hesitate to call 24/7 for a free consultation at (908)-356-6900.